After IL&FS blew up, the funding market froze. The least mutual funds & rating companies can do is signal a change in behaviour. 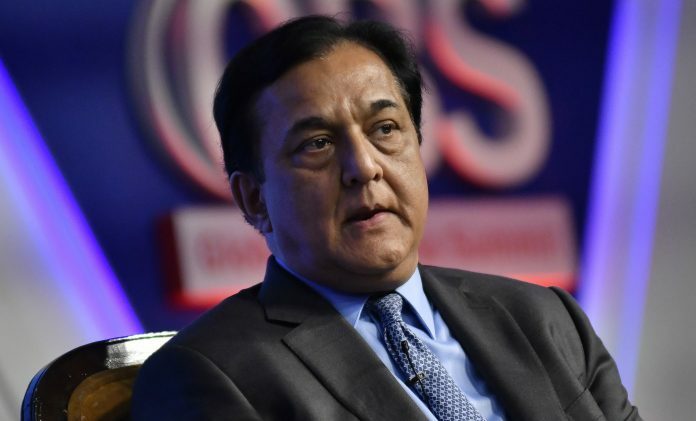 After IL&FS blew up, the funding market froze, and the credit industry cried mommy, begging the central bank to act as the lender of the last resort. The Reserve Bank of India’s refusal to do so added to its brewing tensions with the government. Amid this mess, the least the mutual funds and the rating companies could have done was to signal a change in their own behaviour. Reliance Mutual isn’t alone in doing such bilateral deals. 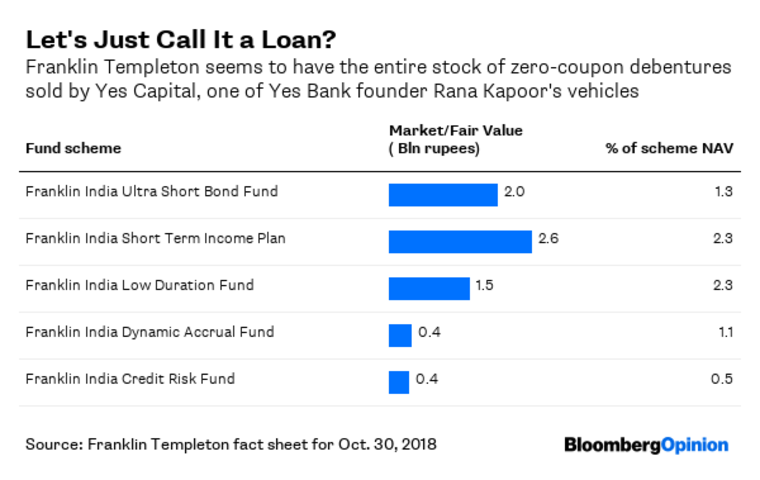 As much as 3.27 per cent of Yes Bank stake is with Yes Capital India Pvt., another of Kapoor’s vehicles. The family has monetized that stake, too, by issuing 6.3 billion rupees in zero-coupon notes. Most (if not all) of that is once again held by one fund: Franklin Templeton. But things haven’t gone according to plan. The RBI swung its regulatory bat, and the debt ceiling for Morgan Credits was breached. 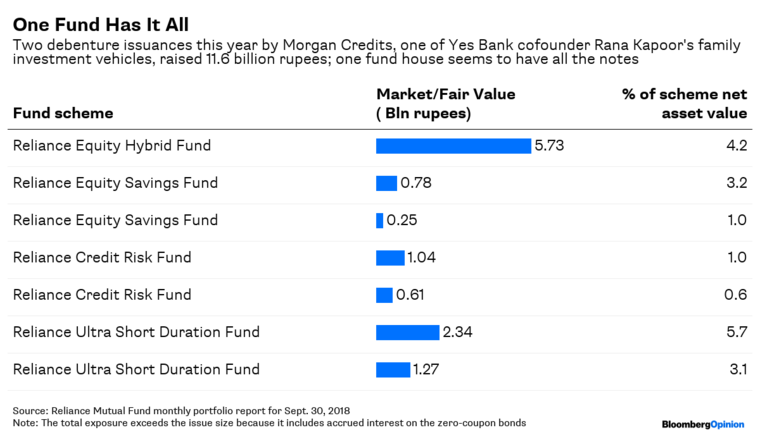 At current prices, 3.04 per cent of Yes is valued at less than two times the money the mutual fund has lent to Morgan. 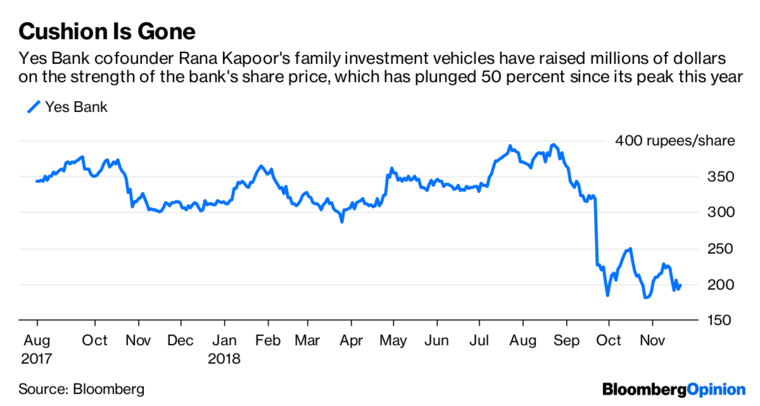 As the bank’s shares swooned, the Kapoor family fulfilled its promise to bring in liquid funds to make up the shortfall. However, why let cash lie idle in a loan-servicing account? So, to allow this fund infusion to be reversed, a new version of the covenant was drummed up. The debt limit still holds, though now it would be busted only when the debt and accrued interest exceed half of Morgan’s 3.04 per cent plus the 4.33 per cent Kapoor owns in his own name. Satisfied by the legal strength of Kapoor’s personal guarantee, Care Ratings Ltd. reaffirmed the notes’ rating at A minus on November. 19.